It’s hard to imagine a world without GrubHub. In days of yore, getting food delivered to your house would be a whole ordeal, involving paper menus, phone calls, small talk, and a run to the ATM, among other inconveniences. Online ordering is undoubtedly efficient, but it wasn’t always so. In fact, its early days are riddled with failures and curiosities, all of which are revisited in this new piece from Tedium. The piece chronicles a few different innovations in the space, but most revealing is the swift rise and fall of CyberSlice (later renamed CyberMeals, which was later renamed Food.com). 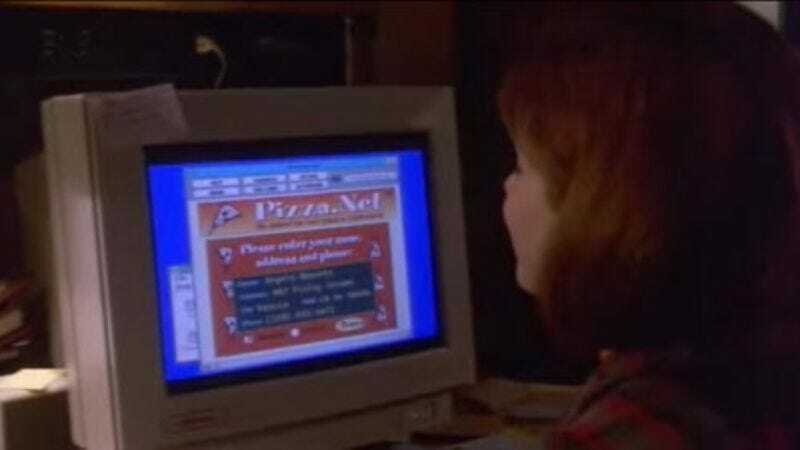 It was inspired, after all, by a scene in the 1995 cyber thriller The Net, which finds Sandra Bullock ordering a pizza online from a site called Pizza.net, itself inspired by Pizza Hut’s PizzaNet, the chain’s first failed attempt to deliver pizza via the internet. CyberSlice started out promising, partnering with Steve Jobs’ NeXT computer and software company, which helped develop the software that would eventually lead the broader concept of online food delivery to success. Unfortunately, the dudes who ran it were horrible with money. After blowing $54 million on ineffective, ’90s-era web advertising, the company needed new ideas. Eventually, the company had to revamp its approach entirely, which may have made things even worse. In 1998, a venture capital firm replaced the firm’s entire leadership team in exchange for $10 million in capital, and brought in a former Disney exec, Rich Frank. By early 1999, CyberMeals had been renamed Food.com. The company blew through $20 million in capital in 1998 alone. That didn’t work out, either, though it did sow the seeds that would eventually lead to the success of GrubHub, which saw its stock grow by 31 percent during its first day on the market in 2014. Turns out fake websites can be good for something, after all.